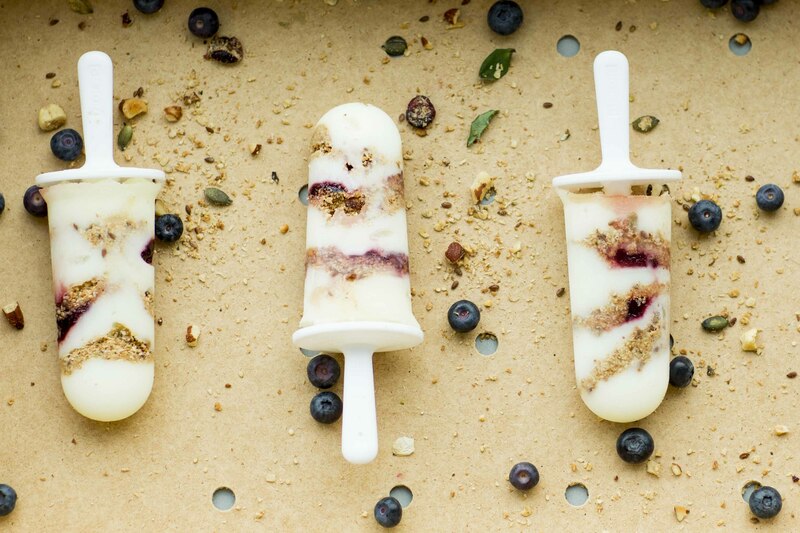 With these delicious granola ice lollies, made from Totally Nuts granola, yoghurt and blueberry juice, you will effortlessly make it through the hottest days of summer! Put a layer of yoghurt in the ice cream moulds and a little granola. Pour another small layer of yoghurt in the moulds and add a teaspoon of blueberry juice. Then a last bit of granola and finish with a layer of yoghurt. Put the lot in the freezer and two hours later you can feast on your delicious homemade granola ice lollies!